Get ready for Is This a JoJo Reference memes to hit Jump Force with new gameplay showcasing Dio and Jotaro. 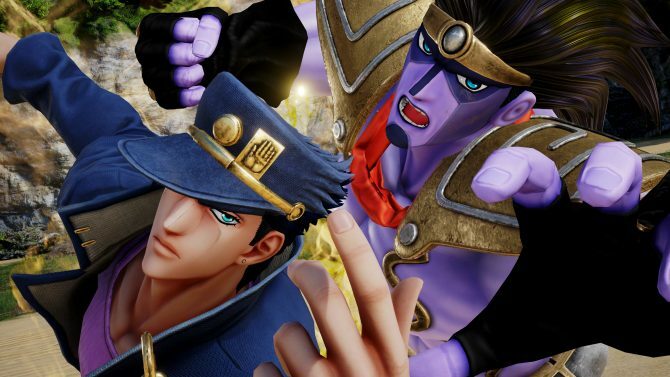 Bandai Namco published a new video for its 3D fighting game Jump Force, showcasing an intense battle between Jotaro Kujo and Dio. The two can be seen using their respective Persona, I mean, Stands: Star Platinum and The World. Just like in their legendary fight in JoJo’s Bizarre Adventure: Stardust Crusaders, we can hear Jotaro and Dio going ORAORAORAORAORA and MUDAMUDAMUDAMUDAMUDA at each other, which is always nice fanservice. We also get to hear Dio say ZA WARUDO too. Getting Takehito Koyasu to voice Dio in the new JoJo anime was one of the best decisions the anime adaptation’s producers took in their lives, along with stuff like letting Araki pick Roundabout for the ending theme of the first season. Dio and Jotaro were revealed in last week’s issue of Weekly Shonen Jump with first screenshots. A few hours later, Bandai Namco published new direct-feed screenshots showcasing both fighters. In related news, we’re on Wednesday, and yet there was no new Jump Force leaks or announcements, which could mean all characters playable in the game at launch have now been announced by Bandai Namco. While I was speculating on who could they reveal next this week in my previous stories on Jump Force, I completely forgot at least nine DLC characters were already confirmed. 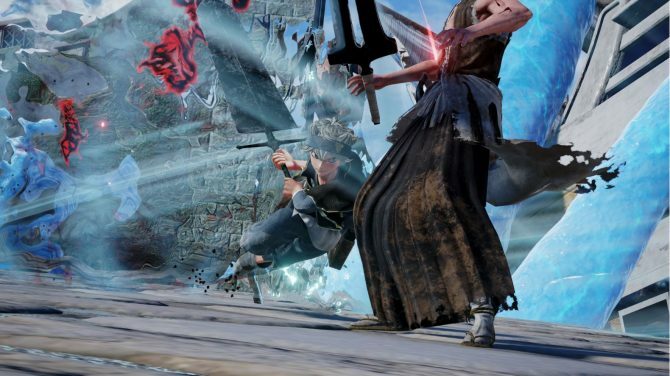 They will be part of the Season Pass included in some of Jump Force‘s limited editions. 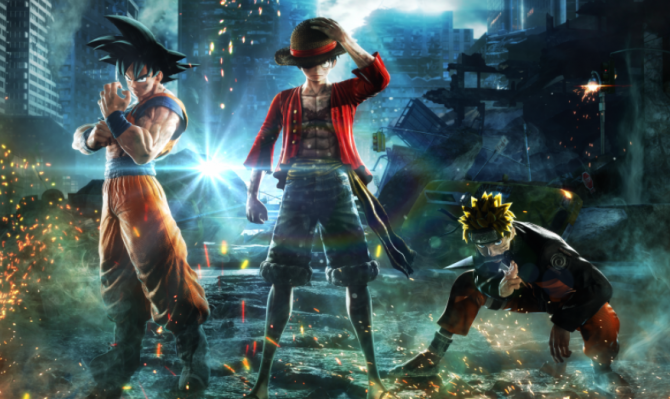 With this in mind, there are high chances characters from popular Jump manga such as Slam Dunk, The Promised Neverland, or Dr. Slump, might come to Jump Force as DLC. You can watch the gameplay trailer with Dio and Jotaro below. The previous Jump Force gameplay focused on Naruto‘s Gaara and Kaguya and proved just how cooler Gaara was. 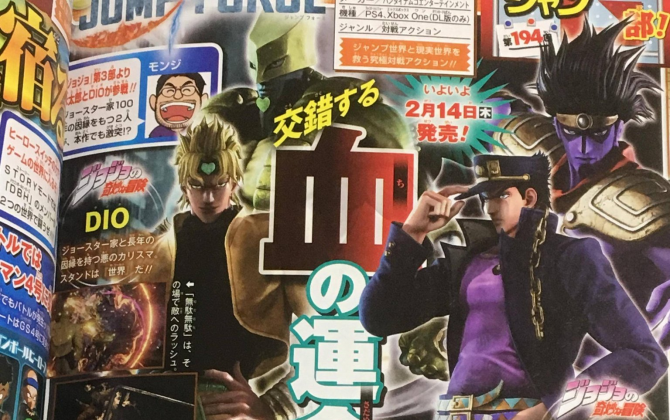 Jotaro was first revealed to be in Jump Force through a leak from an Instagram advertisement, which also revealed Dai from Dragon Quest Dai no Daibōken/ The Adventures of Dai. One of the previous trailers also focuses on Dai and Boruto. Jump Force will be available in a few days for PlayStation 4, Xbox One and PC, on February 15. You can pre-order the game now via Amazon and get some nice bonuses. 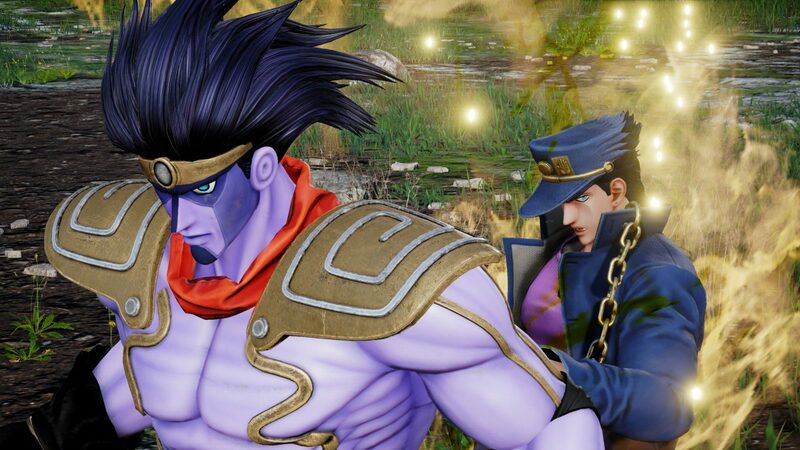 Bandai Namco revealed new Jump Force screenshots showing Jotaro Kujo and Dio from JoJo's Bizarre Adventure: Stardust Crusaders.